The wine flows at Nuyorican , as Faux-Real turns NYC’s premiere poetry café into an ancient Greek marketplace. Ideas are flung about like baseballs at a dunk-tank. 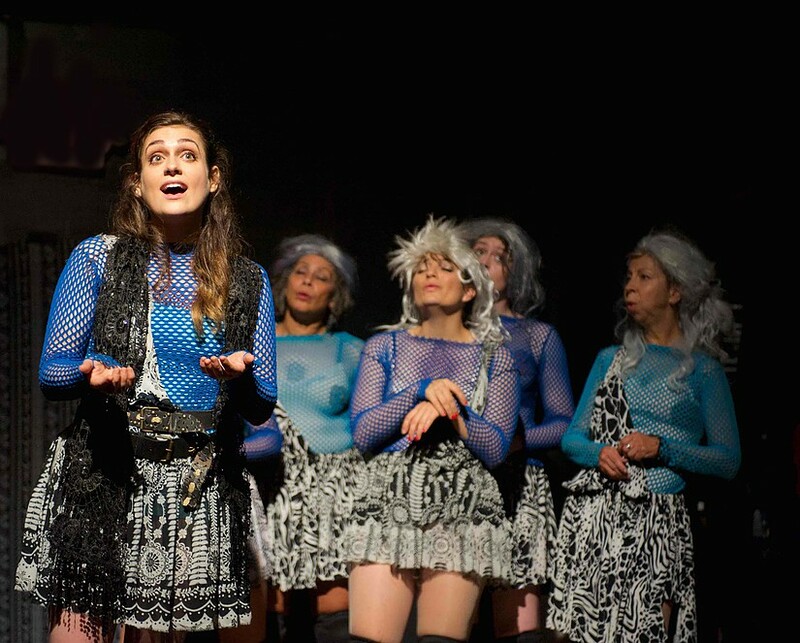 Aristophanes’ bawdy classic is a show that will delight Athenians and New Yorkers alike. The story: Disgusted by wars and patriarchy, Lysistrata unites the Athenian women and their bold Spartan counterparts, convincing the women of Greece not to "give it up," until the men lay down their swords. Historically performed by men to an all-male audience, LYSISTRATA survived the patriarchy and wound up as a vehicle for feminist ideology, pacifist causes, and a challenge to the powers that be. LYSISTRATA asks questions still asked today: What defines manhood? Who is responsible for war? Can anyone stop it?